Posted on March 9th 2017. 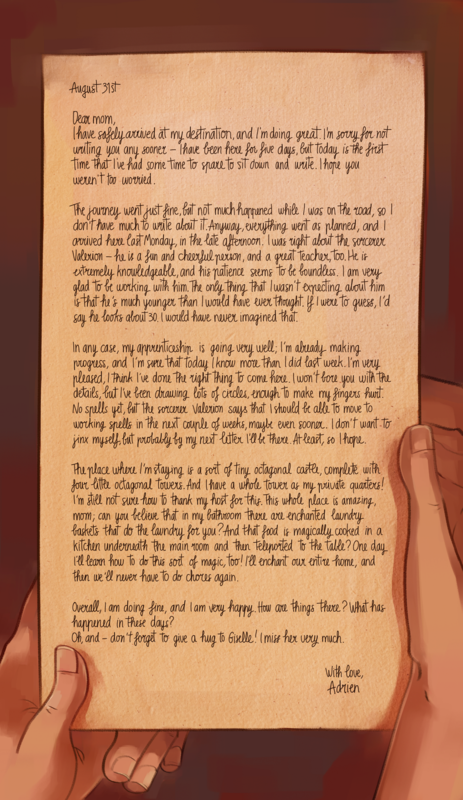 Yes I had to handwrite all of this, but the hardest part was not the lettering itself - rather, to capture its character, I tried to hold the pen as Adrien would. He holds the pen way too close to the tip and with an excessively forceful grip, so no wonder his fingers hurt when he draws - mine did too at the end of this. Essay writing in high school was probably a terrible time for him.